Black Friday is just a few days away. Fortunately, you don’t have to worry about standing in lines for hours just to grab the perfect boating gift this year. In this blog post, we will look at some of the latest gear for boaters’ wish lists. Be sure to check out Boating Magazine for the 2017 Holiday Gift Guide. Engel 30-Ounce Cerakote Tumbler – Nothing beats heading out on the water early in the day and enjoying that favorite beverage. Whether it’s coffee, tea, or something else, the last thing you want is for it to get cold and nasty. That won’t be an issue with this must-have tumbler. For one, the ceramic coating adds durability and resistance to corrosion, chemicals and UV light to the stainless-steel cup. Best of all, the tumbler ensures a liquid-tight seal even when the cup flips upside down. Engel High-Performance 25 QT Cooler – Are you planning on having a large number of folks on the boat at once this holiday season? Then it’s time to invest in a tough, durable cooler. This one is filled with two inches of insulation all over to retain ice for up to 10 days. Plus, the airtight seal created from the all-silicon gaskets will never lose its shape. West Marine Blanket – Even longtime South Floridians would agree that early mornings can get a bit chilly once in a while. Feel free to use this as a lap blanket on the boat or for snuggling inside on a cold night. They’re also machine washable for easy care and repeated use. Take your pick from design such as Frost Gray and Nautical Knots Blue. Cuda Titanium-Bonded Snips – Are you no longer satisfied with traditional shears when cutting bait and fishing line? Then it’s time to give these 8-inch snips a shot. They’re three times harder than untreated steel and stay sharper for a longer period of time. Features include an internal spring system, integrated wire cutters, micro-serrated edge for better cutting performance, and non-slip grips. Wiley X WX Boss Sunglasses – With a matte-black frame and polarized lenses, these shades provide the durability, looks, protection, and comfort boaters look for. The patented Facial Cavity climate control works to keep out dust, wind and reflected light while you’re out on the water. Body Glove 3T Barefoot Water Shoes – Have you been looking for the best waterproof shoes? These ones have a rugged grippy sole, an integrated drainage system, and a three-toe design that lets your big toe and index to move freely as if you weren’t wearing shoes. 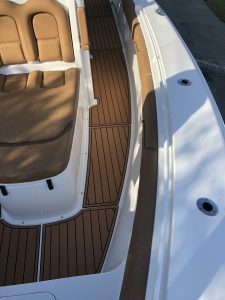 High-quality boat decking – It could be that the boat enthusiast in your life would benefit from new boating decking. We aren’t just talking about any run-of-the-mill marine decking, either. 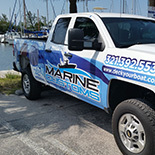 Marine Customs is an authorized marine deck fabricator and installer for non-skid decking. We are proud to offer a product that’s great for all types of boats, personal watercrafts, and airboats and kayaks. 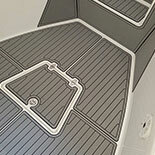 Here are just some of the benefits of anti-slip decking from Marine Customs. 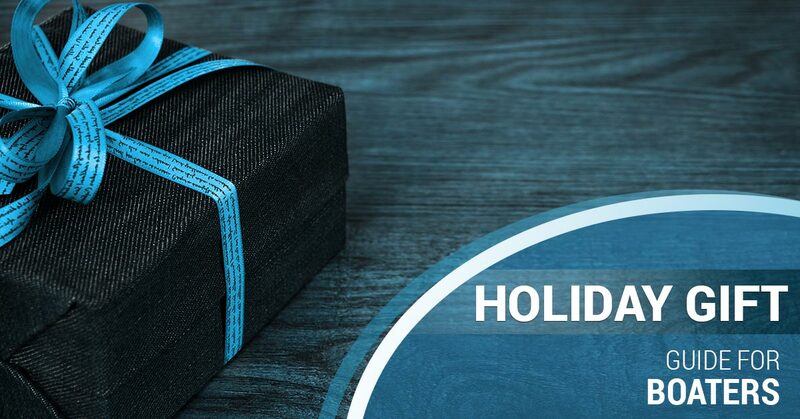 It’s no question our non slip decking makes the perfect gift this holiday season. 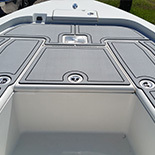 Contact Marine Customs to get started with your boat decking project.